1. The “Full House” Victorian is back in the Tanner Family! In this edition of “House News,” I’ve got some stories to share with you, starting with an update on the famous Victorian in San Francisco. It went on the market in May 2016 for $4.15 million and the show’s creator Jeff Franklin bought it. Not only that, but he’s already repainted it to look like it did in the series, as you can see in his Instagram photo above. Love it! “The house came on the market and really, I just thought, I have to buy this house. I’m so sentimental about the house. It’s great to have the house in our Full House family and be able to preserve it for the fans. Seriously, I love owning this house. How cool is that? The real interiors look much different than they did on the show, but he plans to remodel the house to “match” the Tanner family’s! I kind of like this one! I don’t always care for their picks (Marsala, anyone? ), and I’m not sure how much of this I’ll be adding to my own home or wardrobe, but I like that it’s fresh and looks so cheery. Also find it interesting that they’re pulling away from the trendy Olive tones we’ve been seeing and going for something brighter. I personally am drawn more to clean colors like this than the moodier ones, so I’m all for it. What do you think? Thumbs up or down on this one, guys? 3. “Flip or Flop’s” Tarek and Christina El Moussa announced they have separated. I was sad to hear that, especially considering they have two young children (Brayden is one and Taylor is six). They have been married since 2009 and host one of the most popular shows on HGTV. “Like many couples, we have had challenges in our marriage. We had an unfortunate misunderstanding about six months ago and the police were called to our house in an abundance of caution. There was no violence and no charges were filed. I wonder how this will affect their show on HGTV? By saying they plan to continue their professional life together do they mean they will go on shooting new episodes? Seems like it could be awkward at best. I just had a conversation with a friend about all the fancy Bullet Journals and prettied-up Volt Planners we’re seeing on blogs these days. They always look so impressive, but they would be way too much work for me. I’d never be able to keep them up! Instead, every year I buy a simple annual monthly desk calendar, pencil in all the major events and important dates, and I’m ready for the new year. I was joking with her that I should blog about that. I can imagine how impressed you’d all be. Ha. I was overwhelmed by the number of emails you sent me in response to my newsletter last week. Thanks for all the sweet messages! It’s nice to know I was missed during my little hiatus. As I mentioned in the letter, after nearly a decade of regular blogging, I just flat-out needed a break. I’ve been reassessing some things in my life and career and trying to decide where to focus my energy going forward. One of the things I started doing during my month-long “blog break” was volunteering at an animal shelter. I dare you to spend an afternoon playing with kittens like these two cuties and not come away smiling! Some of the animals are so grateful for love and attention that it’s hard to tear yourself away from them at the end of the day. If you have room in your home and heart, consider adopting a dog or cat this winter. There are so many who need a family! If you’re like us and can’t fit any more critters in your house, maybe you can volunteer at your local shelter, too. It’s so rewarding. My daughter Lily loves animals, so it’s become a family project that we enjoy doing together. Glad to see a new post, and happy to have new ones anytime you feel like posting. It’s great to hear about the work you do with the shelters. I would have a hard time not wanting to take them all home. Hope you and your family have a very Merry Christmas! It doesn’t really surprise me that the El Moussas are experiencing a dynamic personal life as well a a business one. What they do on that show is the real estate investing equivalent of treasure hunting. It’s a fast-moving super high risk lifestyle that has to take it’s toll on other aspects of life. Add to that the TV and fame thing, of course. I can’t imagine what advice those seminar attenders receive– something like “lay everything you’ve got on the line, work you fanny off for a couple of months and hope you come out ahead” I guess. I’m too old for that sort of stress. Good points, Wade. It would be stressful! I love your blog, particularly the Onscreen Houses, so I’m always selfishly wanting more. However, I fully understand that you have a life and love that you are planning on posting when you want rather than feeling pressure to ‘put something up’. I have two adorable cats that keep me company (dozing on my desk as I write this) so I’m even more pleased to hear that proceeds of your blog go toward animal welfare and that you have been volunteering at your local shelter! When I was in my 20’s I used to foster cats and kittens from our local shelter. It was hard to give them back but rewarding to provide them with a comfortable home and socialise them ready for a new family. Love your blog, Julia. It’s one of the best. We’re happy to receive your posts however frequently you wish to send them! Merry Christmas to you and yours! I have concerns about Tarek and Christina’s real estate seminars too. It seems just their name is associated with it, but it does not seem very legitimate, for I went to an initial meeting for it. Glad to know everything is okay, other than duty overload. I was getting concerned. Do what gives you joy, energizes you, and/or MUST be done – life is too short. Thanks for all the house information you bring us and even more for deciding to keep your priorities in order. Enjoy the holidays, Julia. Hi Julia, sorry I’ve been a bit slow lately, nothing like health problems that make you slow down. You have been missed, glad to know you just needed time out. It’s 12.55 AM it’s official Christmas is here and all these Christmas songs are playing on TV and I just wanted to Wish you and your family A Very Merry Christmas and A Wonderful New Year. Best Wishes Always …. Esther from Sydney ? Hi Julia! Love the pictures of your “sunroom”. So sorry you are not up to par. Regarding the Flip or Flop “stars”, they state that the cause of stress in their marriage is the show. Yet, they can’t pull themselves together for the sake of their two young children. In order that they not loose their “brand”, they will continue to work together professionally. Wow! My bet is that the show will Flop… A house is not how beautiful you make it but who lives in it and the commitment to being together. Thanks for so much joy in reading your Hooked on Houses blog which thrills me as I am enthralled with real estate and home restoration and renovation! Cheers for an awesome New Year! There is a really long waiting list to volunteer at our local shelters. Another thing people can do is volunteer with the TNR program: “Trap, Neuter/Spay and Release” for feral cats. Just about every city in the Union has at least one area with a colony of feral cats. “Full House” house: can you imagine what would happen to it if the miserable Flip or Flop couple got a hold of it?? “Oh, let’s open up this wall here separating the kitchen from the formal dining room…” “Oh let’s take out this ‘icky’ antique expensive gorgeous wallpaper and paint it beige..” “Oh let’s do granite countertops here,, here, and in the bathroom” (FWIW granite countertops are a “No Sale” in California now, they are really passe’). This couple, that show gave me an ulcer. Thank God they never got their hands on a Frank Lloyd Wright house. Can you imagine? Cheers Julia cheer up take some BED REST for your bad back, that’s all you can do for it. That’s awesome that there are so many volunteers at your local shelters! Ours are begging for help around here. Interesting that granite is no longer selling houses out there. It’s still popular here in the Midwest, but I’m starting to see the tide turn. 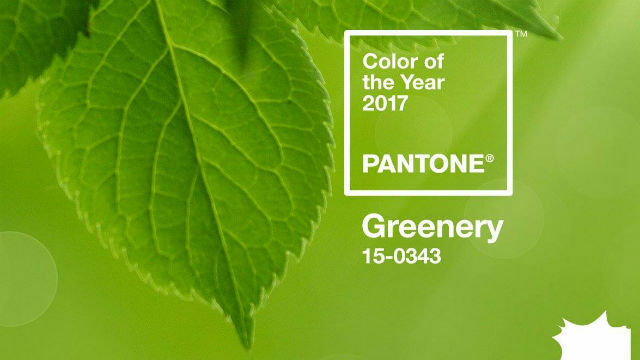 Greenery is the first chosen color in years that I have actually liked. LOL. 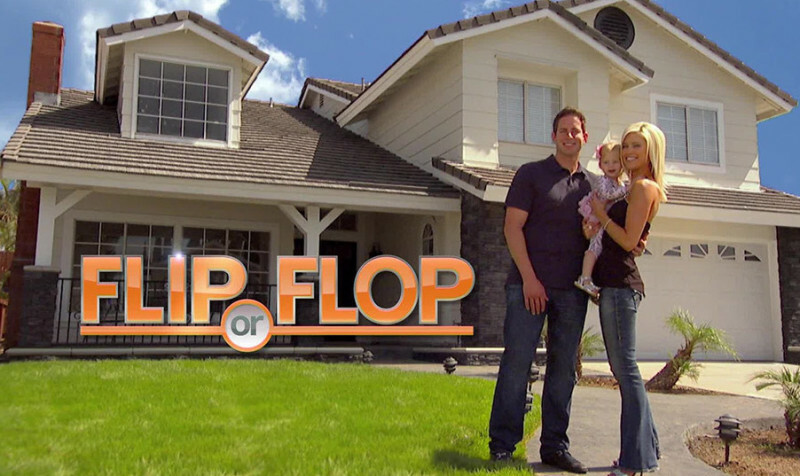 I never liked Flip or Flop. I cant stand to see character taken away and the same old “flipper basic” added. Grey, granite, walls torn down etc… makes me NUTS. I saw zero vision or character in the “after” product. I often visit homes for sale in my area and you can tell a “builder basic flip” before even fully entering the home. I am in California and I can tell you that granite has become the avocado green pariah. Trends are just that and I prefer always timeless, and house appropriate choices. Hence, my love for your posts.